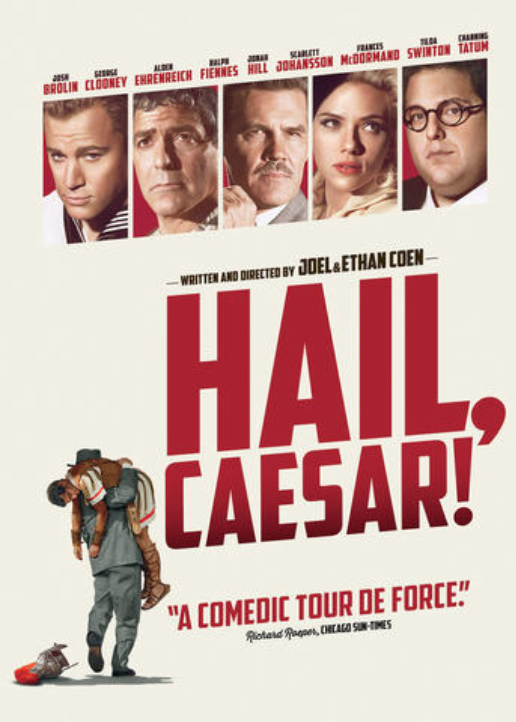 Born For Geekdom: All the References in Hail, Caesar! Question 1: What was up with Channing Tatum's character? Answer: He was an homage to Gene Kelly. His introductory dance number in Hail, Caesar! 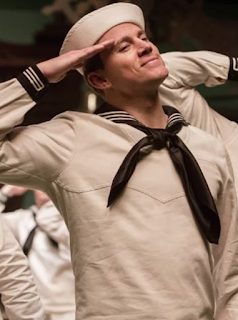 is a specific reference to Anchors Aweigh and On The Town. If I get one shot at introducing you to Gene Kelly, I want you to start with Cover Girl. 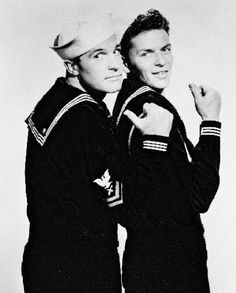 Once you fall in love with him (and you will) you can proceed to Singin' In The Rain and THEN to Anchors Aweigh. 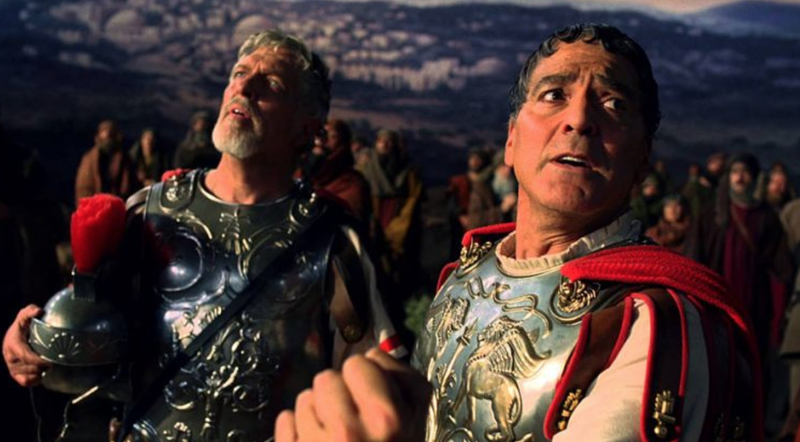 In Hail Caesar!, the Coen brothers pose a hypothetical question. What would the world have been like if McCarthy's communism fears were founded? Gene Kelly WAS the red-blooded American man in film at the time, so the juxtaposition of him being a Russian spy is too clever for any more of my dumb words. The real takeaway here is that a great reaction to all unreasonable political movements is to have the Coen Brothers make spoof movies about them as though they were true. These Gene Kelly movies will also show you how much you should appreciate some of the dead ringers they cast for Rita Hayworth, Phil Silvers, gossip journalist Hedda Hopper, and all the other iconic personalities of that era. 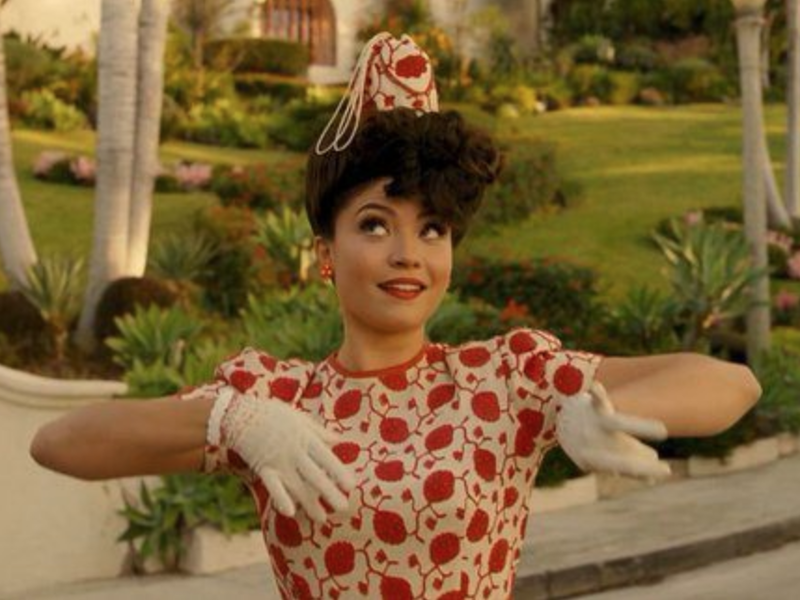 Question 2: Who was this lady supposed to be? Just watch her shiny light shine ridiculously bright in the clip below. Question 3: Who was Josh Brolin? Answer: Eddie Mannix, who was a real person. 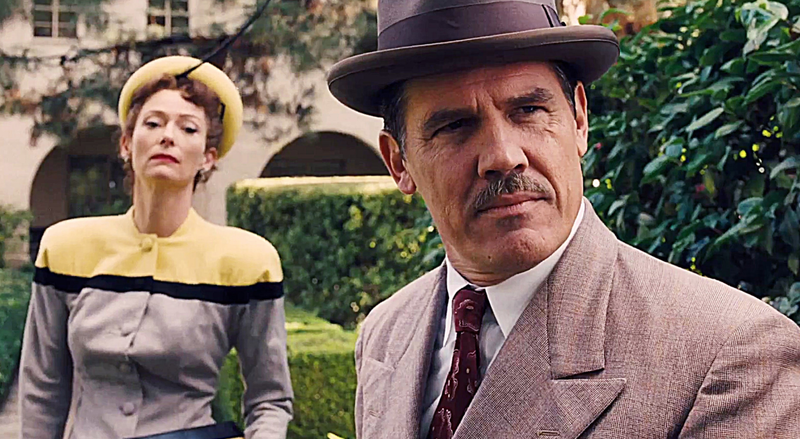 The idea that the Coen Bros. turned him into the earnest hero of the film is another intricate puzzle piece of what makes Hail, Caesar! such a treat for history buffs. You can learn all you need to know about the real Eddie from this episode of the podcast You Must Remember This. Then, enjoy the shame and ridicule of your friends and family as you abandon your entire life for about a month to listen to every episode of this engrossing show. 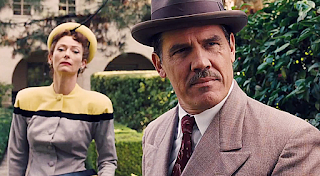 Question 4: Is the movie within the movie Hail, Caesar! a reference? Question 5: Who was Scarlett Johansson? Answer: Esther Williams. People have forgotten that water ballet was, at one time, intensely popular. Most people think it's a Miss Piggy joke. Maybe they kind of know about synchronized swimming from the Olympics...or from the classic Martin Short/Harry Shearer SNL skit. What's that, you say? People don't know that either? I'm getting older and therefore my references are more obscure? For some reason, Esther Williams has not stuck to the collective pop culture consciousness like she should've. But her career was storied. Between her live shows and films, she was an absolute force with no current equivalent. And I adored Scarlett Johansson's performance. Let's hear it for the juxtapositional comedy of an elegant swimmer being a sassy troubled dame! I think that's just about as much classic film geekdom as the internet can handle today. Bye, for now.